I didn’t come up with this idea, but it’s so brilliant I wish I had. I learned about it from Ron Zorn’s thread on FPN. The idea is this: You have a lot of fountain pens. And you’re smart, so you clean your pens regularly. You know how annoying it is to get the water out of your pens after they’ve been cleaned, especially when you’re cleaning a pen because you want to change inks. You want to use that new ink now, now, now instead of standing here, at your sink, shaking the daylights out of your pen to get those last stubborn drops of water out. 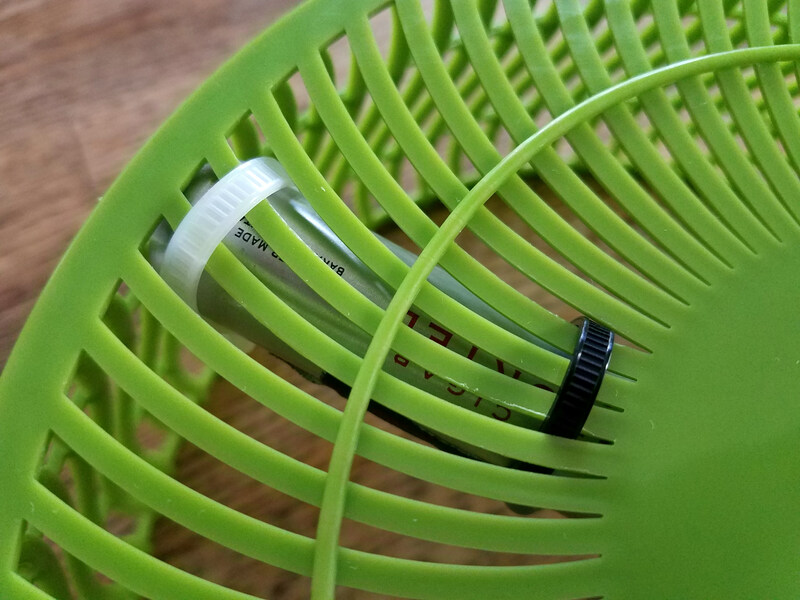 Enter the salad spinner centrifuge. First, I cut an access window near the bottom end of the tube and a slot at the top end. 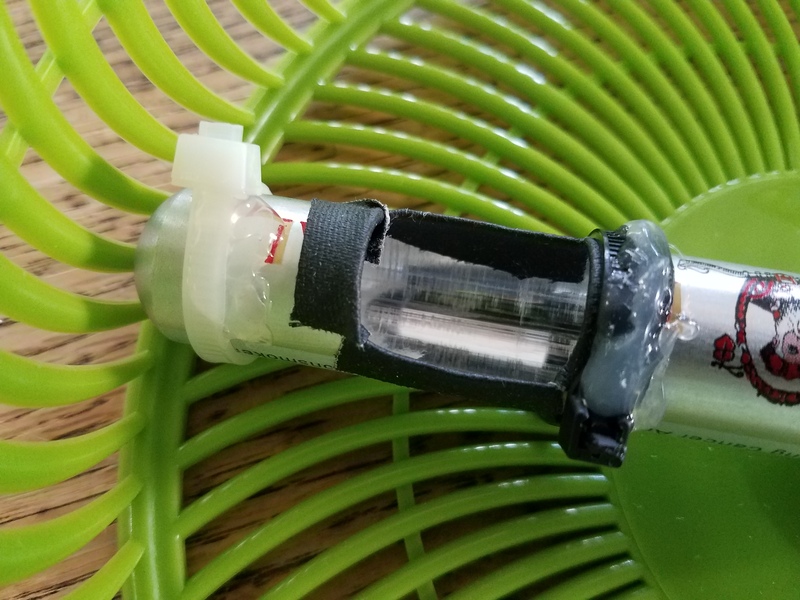 The access window lets me stuff a small wad of paper towel down into the end of the tube to cushion the nib and catch any water and ink that comes out. The slot at the other end is needed because longer pens won’t fit between the end of the tube and the edge of the basket. With a slot at the end, these pens have enough room to clear the edge and slip inside the tube. 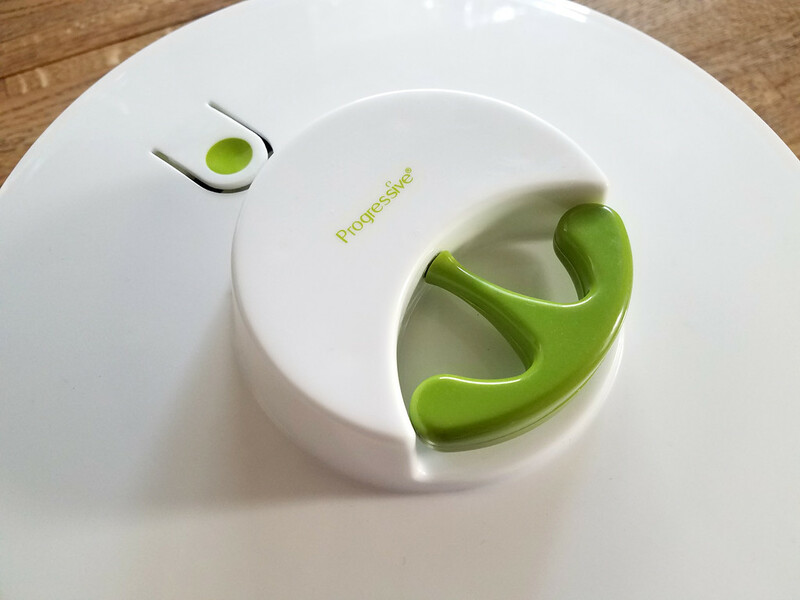 Most salad spinners have a basket that rotates freely inside it. I took some zip ties and used them to attach the tube to the basket. The ties have to be snug so they don’t stick out too far and prevent the basket from spinning. Then, I put tape over the sharp edges of the access window and used hot glue to secure the zip ties to the tube. The end result is ugly, but it works. 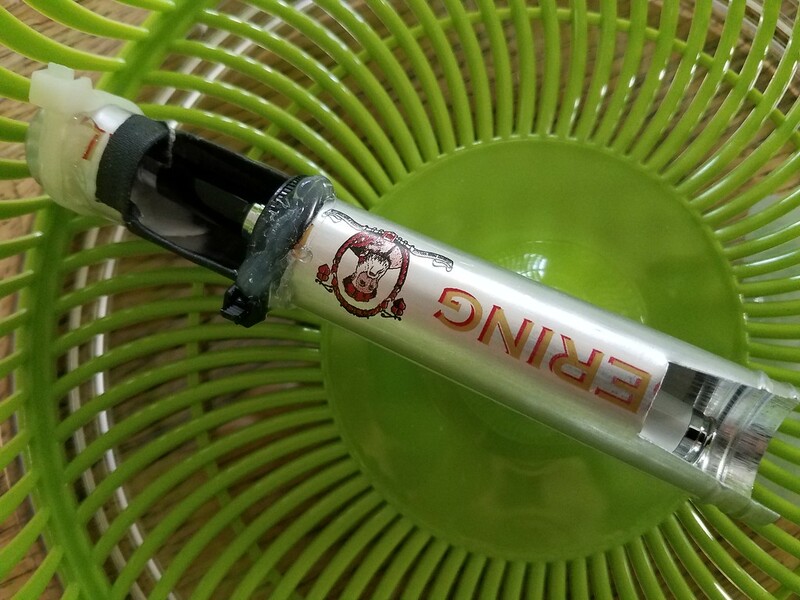 After I clean a pen, I stuff a bit of paper towel down into the end of the tube via the access window, then slide the uncapped pen inside the tube. Then, I put the lid on and give the spinner pull string a tug or several. 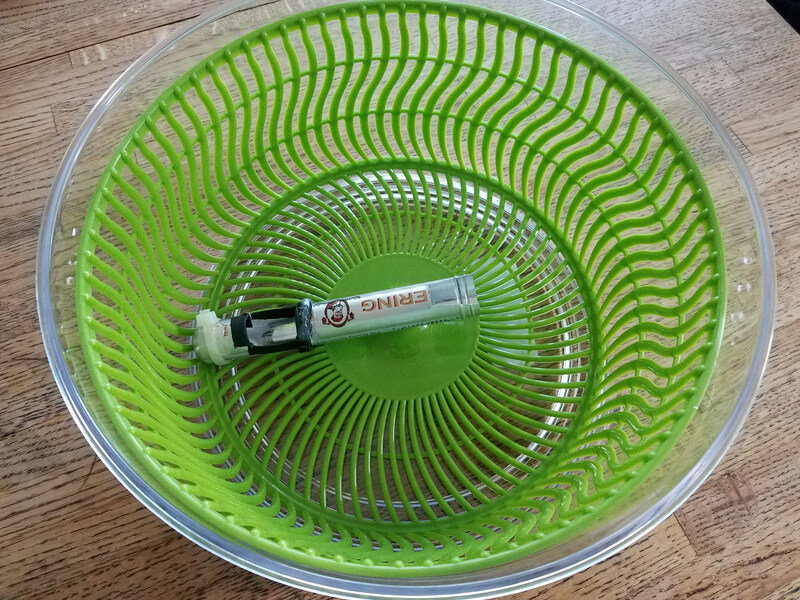 The basket spins, the pen spins with it, and any water inside the pen is violently and thoroughly flung out of the feed and into the paper towel at the end of the tube. It takes seconds to remove all the water from a pen and it’s amazing. No more shaking. No more waiting. If you have a lot of pens to take care of, you need one of these.